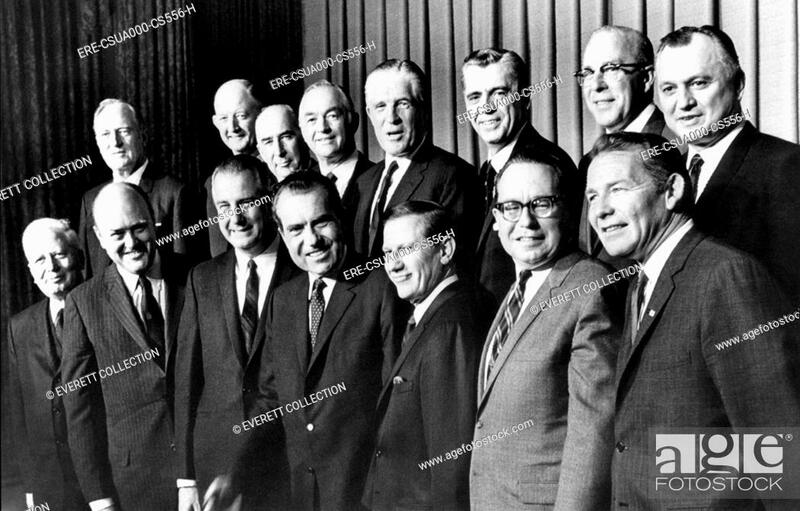 It was fifty years ago today- Wednesday December 11, 1968 President-Elect Richard Milhous Nixon appeared on national television to unveil the twelve people he had selected to serve on his cabinet. With 39 days to go before he takes office Nixon named William Rogers as his Secretary of State, David Kennedy as Treasury Secretary, Melvin Laird as Defensive Secretary, John Mitchell as Attorney General. The Secretary of Labor would be George Shultz- who would go on to serve President Reagan as Secretary of State- Shultz by the way turns 98 this Thursday. I recall watching this on television- I thought it was impressive- but I was eight years old. Who knew what was to come. At the time veteran Milhous watchers probably did.